One of the things I noticed when I married rif was how much his family love their curry. For every special occasion, there was always a curry dish or at least something (incredibly) spicy. My first two reunion dinners with them were fiery hot. 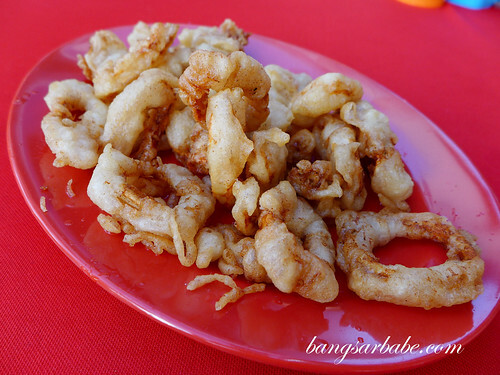 This year, our Chinese New Year dinner was no different. We had dry curry crabs and chicken curry devil. 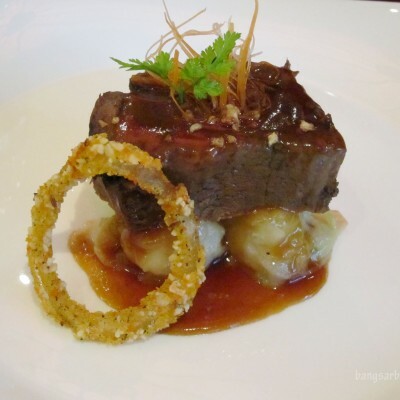 The only thing different was the venue – we dined at the Portuguese Settlement. This place is quite the tourist attraction and as soon as you park your car, ushers will approach you and coax you to dine at their respective stalls. 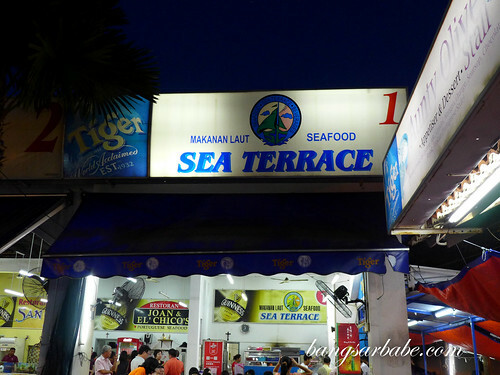 We dined at Terrace 1 (the first stall), owned by a family friend. 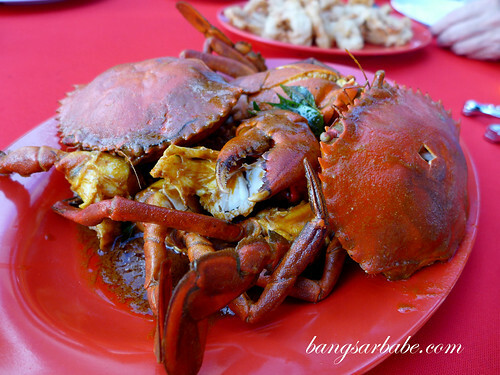 The crabs were fresh and sweet, while the curry gravy packed a whole lot of oomph. Messy to eat but finger-licking good! 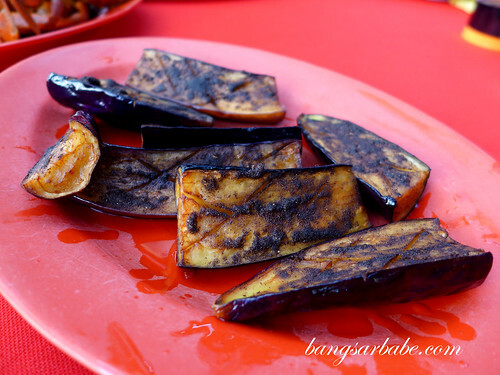 The batter-fried squid was decent, but nothing exemplary, while the grilled brinjal slices were tender and well-peppered for aroma. 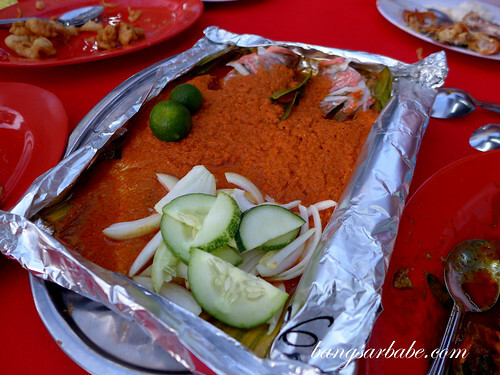 I rather enjoyed the Portuguese Grilled Fish, featuring fresh ikan jenak topped with a thick and spicy sauce. This was fiery hot and delicious with a generous squeeze of lime. The grilled fish and curry took a while to prepare, so we ordered some fried chicken wings to keep our mouths busy. 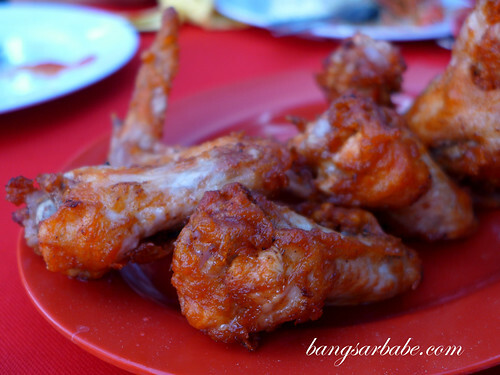 I wouldn’t mind having this again, as the wings were flavourful from the marinade, and fried till crispy. 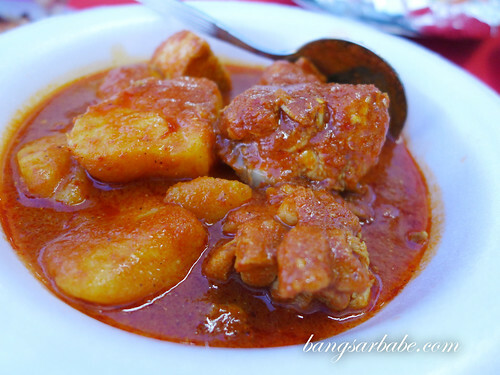 We also had a small bowl of devil curry chicken to try (complimentary) but now that I know how to cook this, I’m no longer as excited about it. Not bad, but I would have liked it to be spicier and sourer. 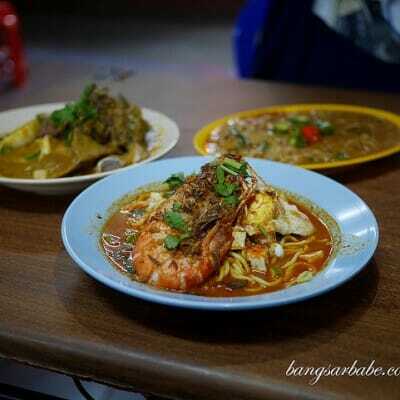 If I’m not mistaken, the above meal cost RM150. Pretty reasonable considering the amount of seafood we ordered, don’t you think? Verdict: If you’re into fresh seafood done the Portuguese way, give this a try.